PITTSBURGH & CHICAGO--(BUSINESS WIRE)--Americans are dissatisfied with their weekday breakfasts and are struggling to find options that don’t compromise on taste, quality or convenience1. To help reignite Americans’ love for breakfast, Kraft Heinz today unveiled its newest brand, Just Crack an Egg. 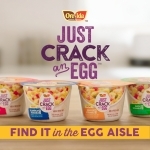 “We know that consumers aren’t happy with their current weekday breakfast options, and we saw an opportunity to reignite consumers’ love of a hot, filling breakfast,” said Greg Guidotti, Head of Marketing, Just Crack an Egg. “Too often, their busy lives force them to make compromises and trade-offs around breakfast when it comes to taste, convenience and freshness. Just Crack an Egg bridges that divide, making it easy for them to have a savory breakfast scramble that can fit into even the fastest morning routine, any day of the week…all with just the crack of an egg." 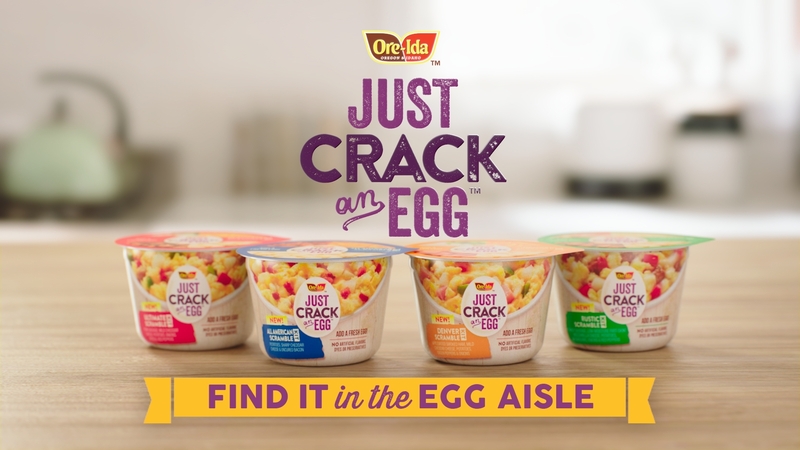 To support this new innovation, Just Crack an Egg today launched a creative and marketing campaign that encourages consumers to take breakfast back. The campaign will be supported through national TV, digital, print, PR and social extensions. Just Crack an Egg is available in the egg section at stores nationwide for an SRP of $2.49 per cup. For more information on Just Crack an Egg, consumers can go to the website (www.justcrackanegg.net) or the brand’s social media pages (Facebook.com/JustCrackAnEgg and @justcrackanegg on Instagram and Twitter). The Kraft Heinz Company (NASDAQ: KHC) is the fifth-largest food and beverage company in the world. A globally trusted producer of delicious foods, The Kraft Heinz Company provides high quality, great taste and nutrition for all eating occasions whether at home, in restaurants or on the go. The Company’s iconic brands include Kraft, Heinz, ABC, Capri Sun, Classico, Jell-O, Kool-Aid, Lunchables, Maxwell House, Ore-Ida, Oscar Mayer, Philadelphia, Planters, Plasmon, Quero, Smart Ones and Velveeta. The Kraft Heinz Company is dedicated to the sustainable health of our people, our planet and our Company. For more information, visit www.kraftheinzcompany.com .